AC system maintenance isn’t a luxury or optional service. It is essential for optimal performance of your heating and cooling unit. The system consists of multiple moving parts and electrical components that require periodic checks to ensure that they’re working properly. An inspection isn’t expensive, especially when you compare it to the cost of an extensive repair or replacement. Let’s go over what’s it entails and why it is necessary. The extent of the AC system maintenance required depends on the type of unit and its features. Newer models are more efficient with parts that will likely last longer than older ones. Your HVAC system is not unlike a car in which components wear out or need readjustment to keep them running with the maximum output. Some tasks are simple in that the homeowner or DIY’er can do such as cleaning accessible ducts or changing the air filter. Other things require professional service because of federal regulations like handling refrigerants. The two most important reasons to perform AC system maintenance are improved energy efficiency and longer lifespan of the system. Both can affect your bottom line. An inspection can identify problems that impact the unit’s performance. They can range from minor issues such as a dirty filter to more significant ones like a faulty compressor. A trouble with a component will cause it to run longer and harder which will drive up your utility bill. The second reason can have a direct impact on your budget. Often, a technician can do a small repair before it affects the operation of the entire system. The preventive measures you take can go a long way toward saving you money on the cost of a replacement. It’s like insurance for your HVAC system. Also, most warranties on AC equipment require regular maintenance as part of the conditions. Penguin Cooling and Heating is an authorized warranty dealer for Trane, York, Lennox, and most major brands. Finally, there is the safety factor. 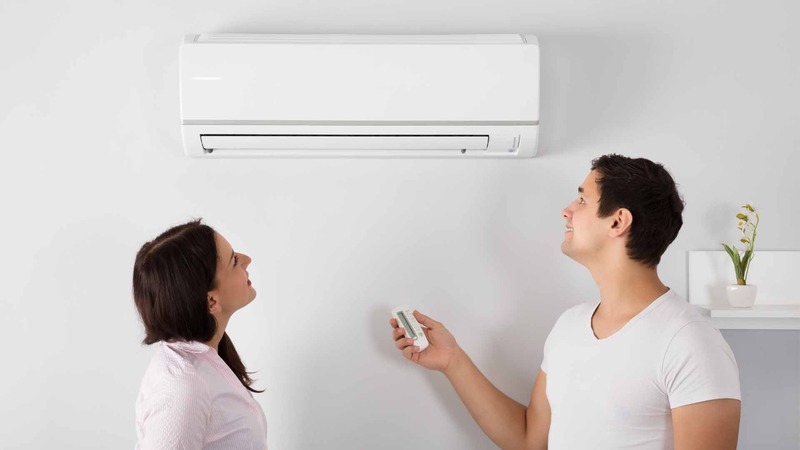 A professional check of the AC unit includes an inspection of the electrical controls. A service call can give you the peace of mind you deserve. 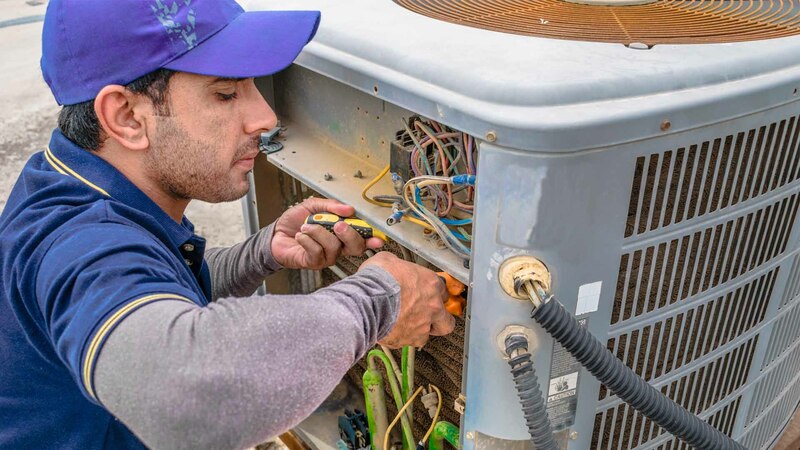 Penguin Cooling and Heating offers a complete inspection service that will thoroughly check your AC system from top to bottom. Our technicians will do the necessary seasonal maintenance to ensure it works at its peak efficiency. Clean or replace customer-supplied filter(s). Check refrigerant levels. If refrigerant is low, customer will be responsible for the cost of adding refrigerant (at the discounted cost). Lubricate fan motor(s) if applicable. Measure air flow temperature throughout the house. Clean and flush out condensate drain lines. Add algaecide tablets to condensate drain lines to prevent clogging. Inspect all ductwork for leaks or damage. Clean, inspect and adjust burners in the furnace. Evaluate flue venting system to prevent carbon monoxide poisoning. Check gas line pressure to ensure proper heating. Lubricate fan motor if applicable. Inspect home carbon monoxide detector for proper operation and batteries for homes with Gas Furnaces. Inspect ductwork for leaks or damage. Service includes 15% discount on parts and labor, and gives the customer priority service. We recommend getting AC system maintenance in the spring before the beginning of the summer season. After all, it’s more convenient to deal with a repair before you need it than when the hot weather starts. Likewise, we recommend your heating system maintenance in the fall before the colder weather is upon us. By doing so, you can ensure that your home stays comfortable when the temperature and humidity rise or fall. It’s also an excellent way to improve the indoor air quality of your living space. Our mission is 100% satisfaction guaranteed. Our technicians are EPA-certified to ensure the highest quality service. They are licensed, insured, and bonded. We also require annual equipment certification so that they are current with the latest technology. We prepare for emergencies and completed repairs with fully stocked service trucks with a wide range of replacement parts. We follow up all service calls to ensure your satisfaction. We offer both monthly and yearly maintenance plans with priority service and appointment times. If our technician finds a problem, as a Club Member, we’ll give you 15% off on parts and labor. We’ll even waive the diagnostic fee, regularly $89 as a Club Member. Plans start at $19.95 per month. Annual Club Memberships start at $189 per year (diagnostic fee is not waived for annual Club Membership). Get the most out of the purchase of your AC system maintenance with HVAC maintenance Charlotte. Call or message us today at 704-296-0800 to schedule your appointment. We’re always ready to help, 365 days a year.